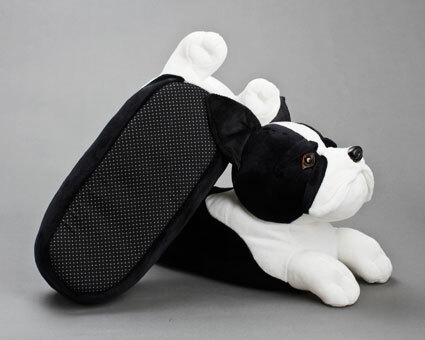 Who can resist a Boston terrier? 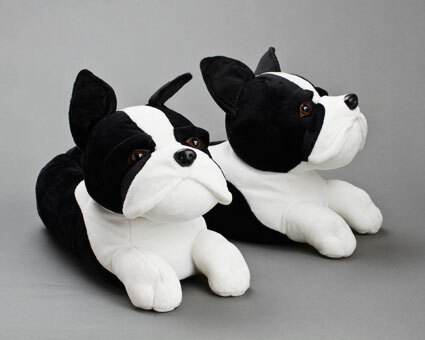 These black and white pups are as cute and cuddly as the real thing! 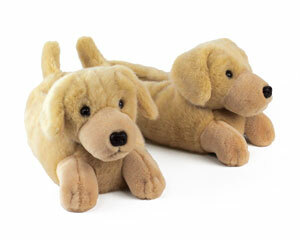 Our soft plush slippers capture the pointed ears, distinctive muzzles and warm brown eyes of this intelligent breed. 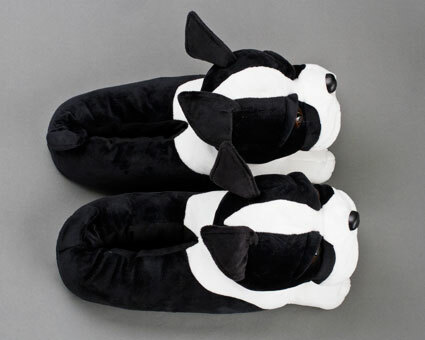 With a full foot design, these slippers are made with soft but supportive foam footbeds, and no slip grips on soles. One size fits most up to a Women's size 12 / Men's 10. 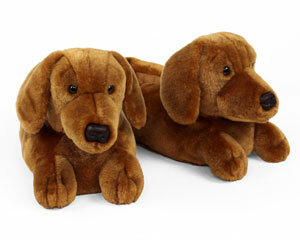 We loved these they were a perfect gift! 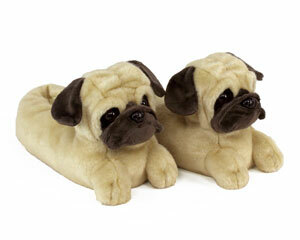 The only thing I was disappointed in was they aren't made of a more fuzzy like material. 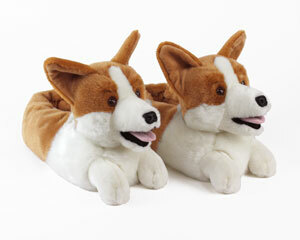 They are cute and I think my daughter will get a big kick out of them when she opens them up Christmas. 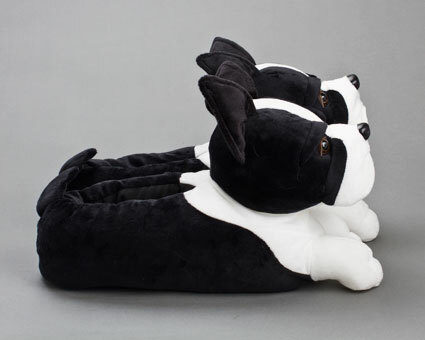 these slippers are fantastic. i gave them as a birthday gift and they were the hit of the party. very well made and adorable. everyone loved them, especially the birthday girl !